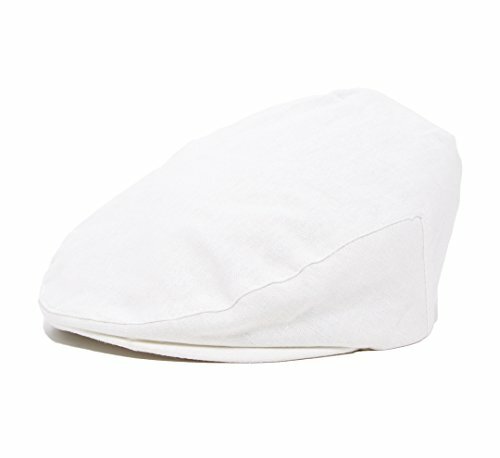 Looking for a dapper look for your little man This White Baptism Baby Jeff Driver Cap is the perfect addition to your baby boy's wardrobe, guaranteed to turn heads and have all the other parents asking where you bought it from. Design and quality workmanship can be seen in every cap. Made from a combination of cotton and polyester this classic driver cap is constructed from 2 panels. Each baby hat has a beautiful finish that feature a quality quilted satin lining and has an elastic band built in to ensure longer wearing time. It is perfect as a stylish photo prop, as a gift, or to wear at weddings and special events. This baby hat comes in 3 different sizes. In order to get the right size we recommend that you measure your baby's head before ordering. The best way measure the head's circumference is to measure around the child's head and above the ears, measuring the widest part of the head. Born to Love Clothing was started by a Mom with help from a very artistic Daddy. After the birth of their son, they began designing and creating baby and toddler clothing they could not find anywhere else. Their son has been the inspiration for the line and continues to inspire them to create original and unique clothing and accessories for stylish kids.